Simple, easy, gluten-free, and summery pan fried Green Bean Corn Cakes. 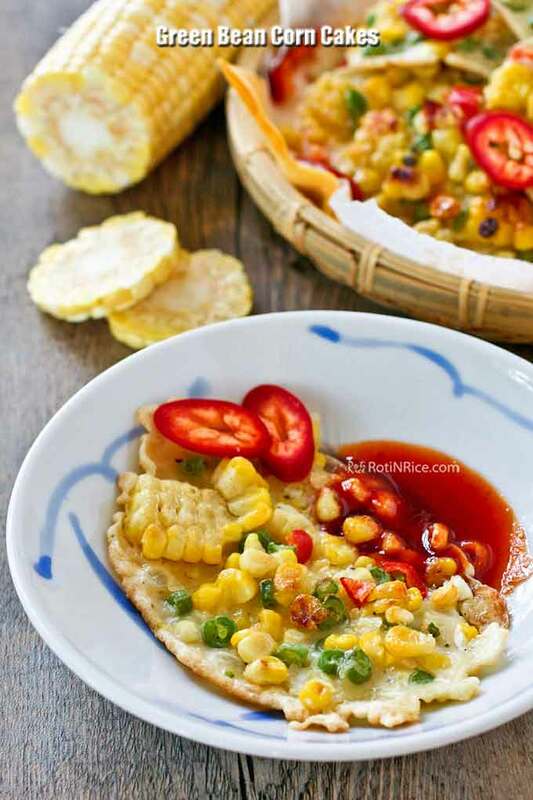 Delicious as a side dish or snack dipped in sweet chili sauce. This year the shortage of corn due to drought conditions across the country have driven prices more than double the price of previous years. Normally twenty cents would buy you an ear of corn but the current price is hovering around fifty cents each. Though we do get a decent supply at the grocery store, it is not as abundant as we have come to expect for this time of the year. So whenever they are available, I can’t help bringing a few home with me. We really enjoy corn-on-the-cob as a side dish. Naturally sweet and delicious, they make a great accompaniment to grilled meats. They need little to no additonal ingredients to enhance their flavor. I like to cook my sweet corn in lightly salted water for about 8 minutes. The kernels remain plump, juicy, and crunchy when bitten into. These kernels are also wonderful to cook with. In the summer time, I much prefer them to canned ones. It takes a little extra work to prepare them but it is definitely worth the effort. The other summer produce that I cannot resist is green beans. I always keep a bag of green beans in the refrigerator and use them in all kinds of dishes. They provide a much needed pop of color to fried rice and curries. They are also delicious on their own or mix with other vegetables in stir fries. Summer is going by quickly and the days are a little shorter and cooler now. I am definitely not ready for fall yet. Thankfully, there is still some summer left. The farm stands continue to sell corn and green beans. 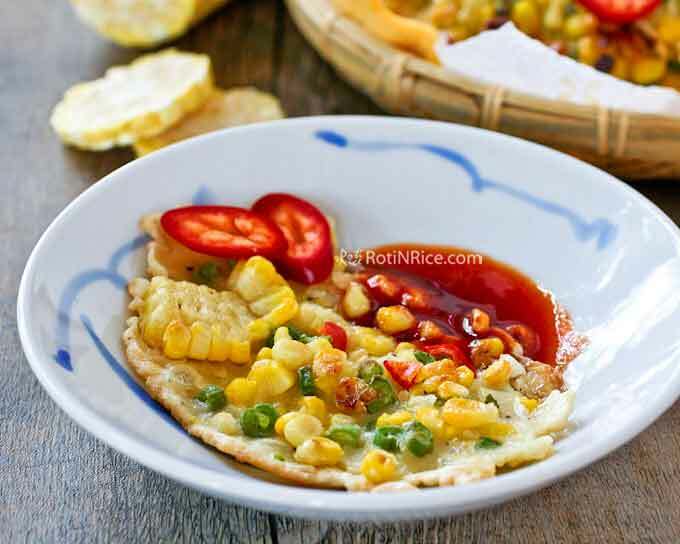 Get some today and give this Green Bean Corn Cakes recipe a try. It is simple, easy, gluten-free, and summery! Combine flour, salt, ground pepper, egg, and water in a large bowl. Stir to get a smooth batter. Mix in corn kernels, green beans, and chili. Heat a large non-stick fry pan with 2 to 3 tablespoons of vegetable oil. Ladle a ¼ cup batter for each pancake into the pan. Pan fry for 4 to 5 minutes on each side, pressing down with ladle. Cook in 2 batches. Do not overcrowd pan. Remove and serve immediately with sweet chili sauce. This is a work of art Biren! I love them, what a great idea!!! This little savory cakes look awesome Biren…love the flavor and the color. I really like green beans too, and they are great combined with corn. These little cakes – almost pancakes – are so cute. What a great idea! Really nice recipe – thanks. Yes, these are like pancakes. Green beans sold in the summer are especially sweet and tasty. this looks like a healthy and yummy snack, seem quite addictive. I really do like the summery look of these cakes/pancakes. Made too few as they were gone in no time. Have to make a double batch next time. We had a similar situation last year in Australia. Most of our bananas are from Queensland which suffered serious floods and bananas went from the cheapest fruit to being more expensive than the exotic fruits. You don’t realise how much you like something until it is too expensive to buy! I love this dish, its so wonderful that these fritters are gluten-free! So true! We do take things for granted until we are deprived of them. I do have quite a few gluten-free recipes on this blog. 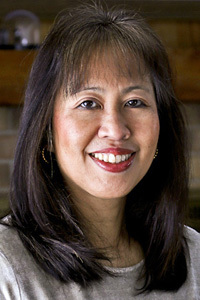 Please check the Cuisine Gallery above or the tags on the sidebar. 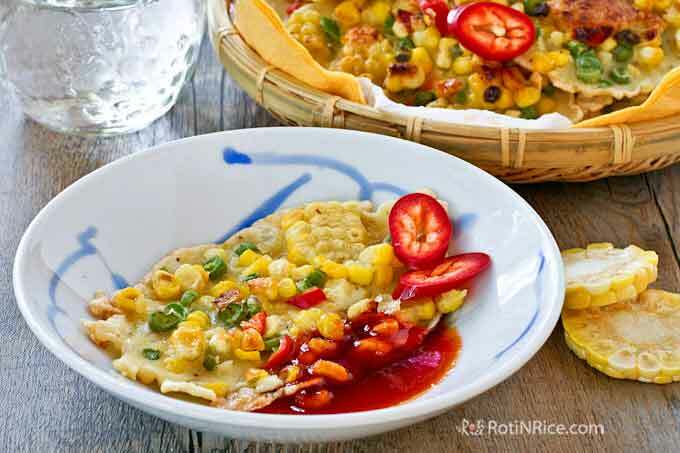 These corn cakes look lipsmacking! 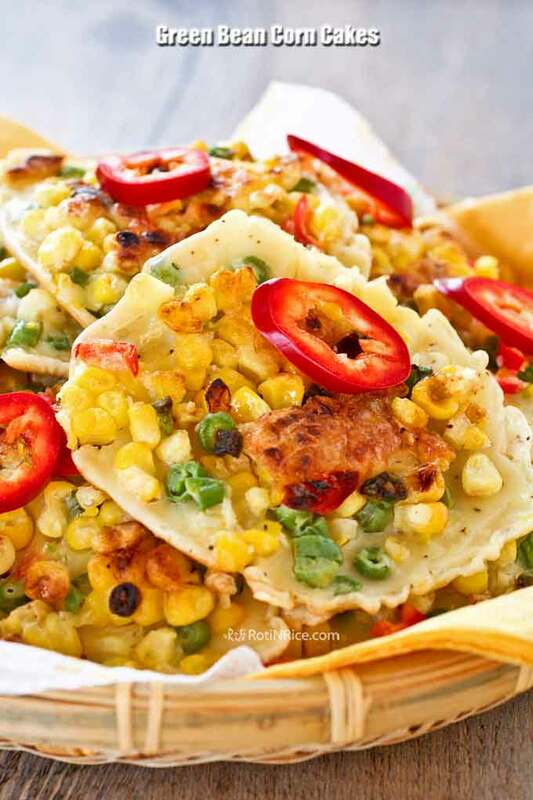 Corn is one of those summer produce that everyone look forward to. Hopefully you get to buy a few more before the season is out. At first I thought the veggies were placed onto a cooked pancakes,but it’s so much easier than that. Love the way the thinner batter forms a cracker type base for the veggies. These are gorgeous and they look absolutely delicious! I know the market with have green beans, but I haven’t seen corn yet. By the way lovely lady – I love your new picture! You have not seen corn yet? I hope you get to buy some soon. Corn is something I look forward to each summer. Fortunately, we have a relatively good supply here in Minnesota. You’re so right about the versatile green beans. They come in handy in most dishes. In fact I have these in the fridge 🙂 Alas! No fresh corn, just the canned ones 🙁 It’s not that easy to get the fresh ones and the ones we get in our local stores are imported from Spain..
Love the end result. The lovely summery colours. Reminds me of my recent trip to the Provence 🙂 Well done, Biren! I love green beans and can never resist buying some home whenever I see them at the farmer’s market or grocery store. In fact, I just brought a packet home for a dish I’ve have not cooked in a while. Will post it if it turns out well. 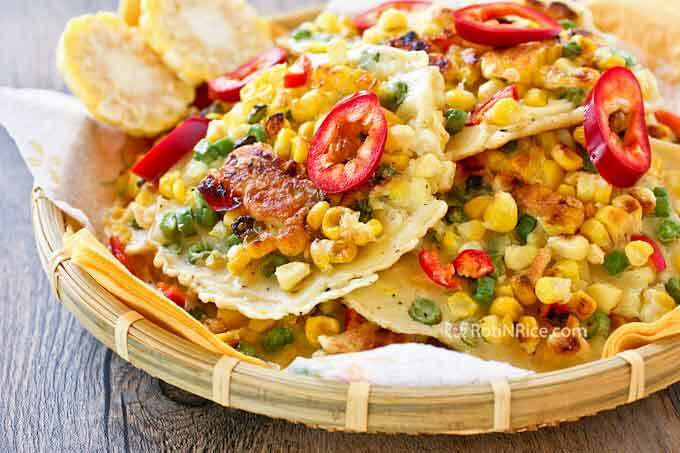 That looks absolutely yummy, I love corns too and buy them quite often to steam and eat for lunch, so delicious! I am glad to hear you found something here that you would like to try out. Do let me know how the corn cakes turned out for you. I would love to make these green bean corn cakes but the recipe is missing. Can you please repost it or repair the link? Thank you. I love your beautiful dishes, everything looks so yummy. I have been updating my recipes form an old recipe card to a new one. Just managed to update this recipe. I just updated this recipe from an old recipe to this current one. Please enjoy!